HomeCNC Machining Which One Is Better – Traditional or CNC Machined Products? You need several of the same part or component fabricated but are unsure if traditional or CNC machining is best. Although conventional machining methods still have value, there is no question that for precision, CNC machined products are unbeatable. Not only that, but the time that it takes to create CNC manufactured products is significantly less than using more conventional methods. The great thing about CNC machining is that experts use a variety of machines to perform different tasks, including lathing, drilling, milling, and a host of others. With such incredible versatility, multiple industries rely on CNC manufactured products for a broad range of applications. 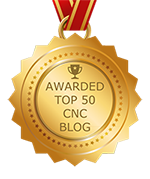 In addition to helping companies grow and achieve success, CNC products ensure the satisfaction of end-users. By using state-of-the-art machinery, a professional fabrication company can make finished products out of plastics, metal, and even wood. Along with prototypes, CNC machines can produce anywhere from 10 to 20 up to 500 and 10,000 units per week. On average, a high-quality machine will make a single tool or component in just 10 seconds to three minutes, although high-end production runs can result in one to two units per second. Whether for items that people use on a daily basis or specialized parts and components used by various government entities, experts use both standard and custom CNC machining. Compared to traditional machines, CNC machines are faster, more accurate, and more cost-efficient. Especially if you need a sophisticated or intricate product made, the only viable option is to hire a fabrication company with years of experience and expertise in operating all types of CNC machines. Because operator skill, CNC machines, and even the computer programs used vary, it is essential that you have your project completed by a company with excellent capabilities. For this type of product, experience is critical. At NexGen Machine, we have more than 40 years of industry-related experience. Today, we run six machining centers, all producing stellar products for different companies and industries. For more information, please visit our website or call to speak with a company representative.